Oftentimes when we make maps it is based on our subjective interpretation of what is aesthetically pleasing. 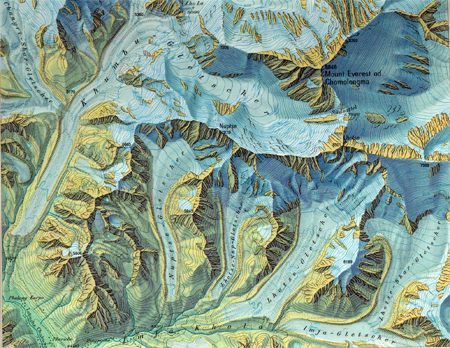 I would like it if people posted examples of beautiful maps, displaying any phenomena in any manner. 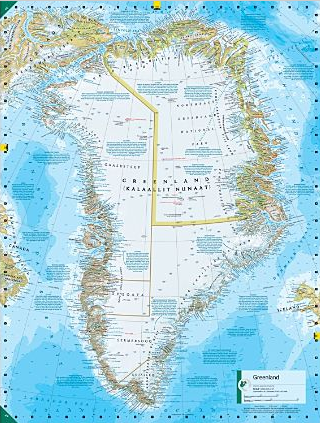 Below I have posted one of my favorite maps. This is an example of a value-by-alpha map recently asked about as How to implement value-by-alpha map in GIS?, and the picture is taken from the GeoVista website. It would be best for the cultivation of knowledge if people would elaborate on why the particular maps they cite are beautiful. The reason I believe I think the cited value-by-alpha map is beautiful is that it creates a very simple, but obvious and striking visual hierarchy with which to interpret the standardized mortality ratio's. This is in particular useful combined with the very "noisy" standardized mortality ratio's, and the typically very noisy clusters of abnormally high rates produced by the SatScan clustering technique. One can even clearly see very small clusters around Chicago and Philadelphia. 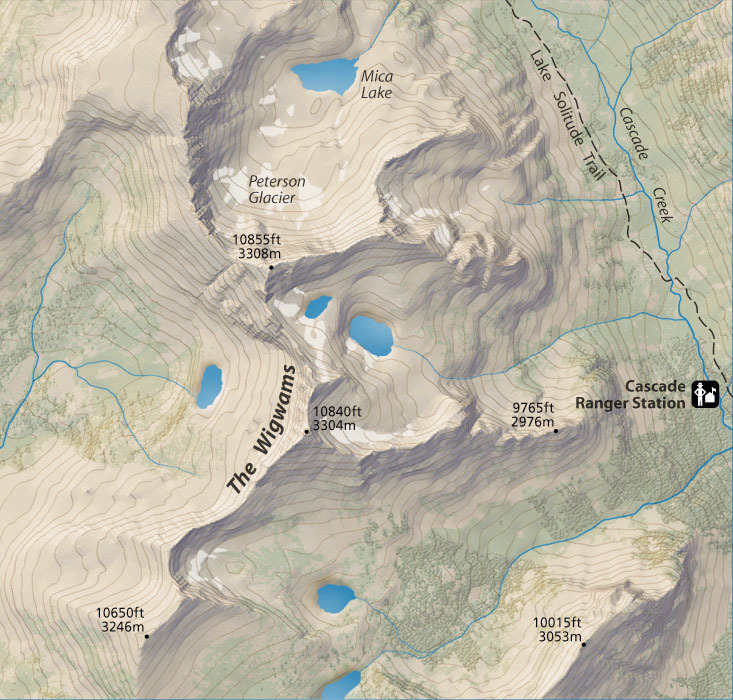 There are other supplemental elements of the map that make it easy on the eyes. For example, the black background, the heavier white outline for around the states and the white outline for the states (that is blended the same as the attribute values). 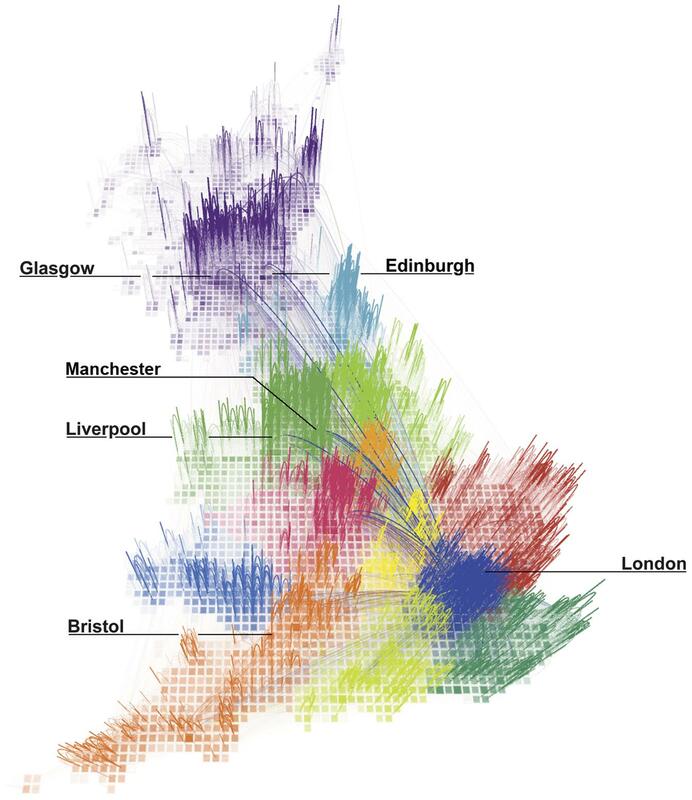 Maps with many polygons can particularly be distracting if one does not take care when plotting the polygon outlines. Also the legend is particularly well created, and effectively demonstrates the concept (although it certainly isn't a typical legend, so took some original creative thought). 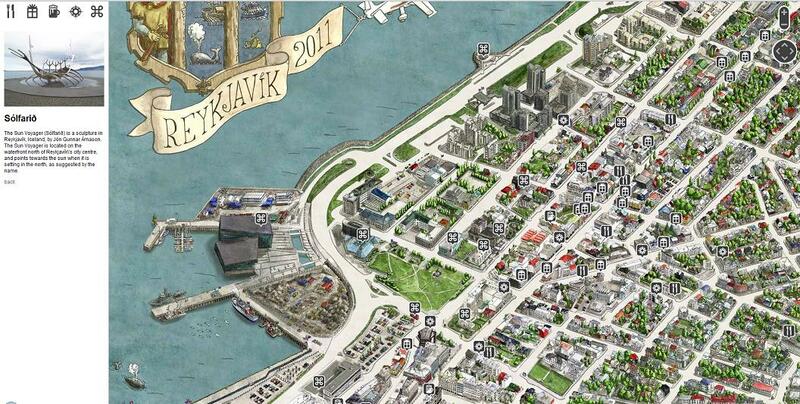 RADICAL CARTOGRAPHY showcases couple of really nice examples. As the question does not specify that a map has to be a traditional static map, I would like to propose the Mapnificent London travel times map. 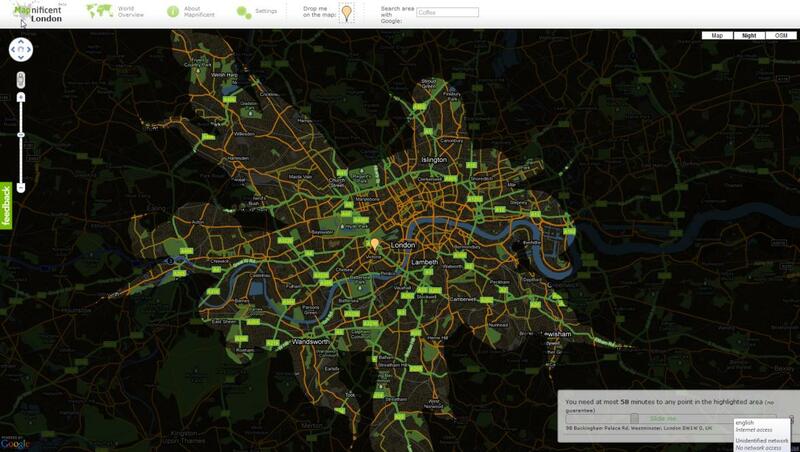 As per usualy, Google are really pushing what you can do with Online Mapping APIs. In terms of map design, the v3 API now gives you greater control over tweaking the underlying base map. 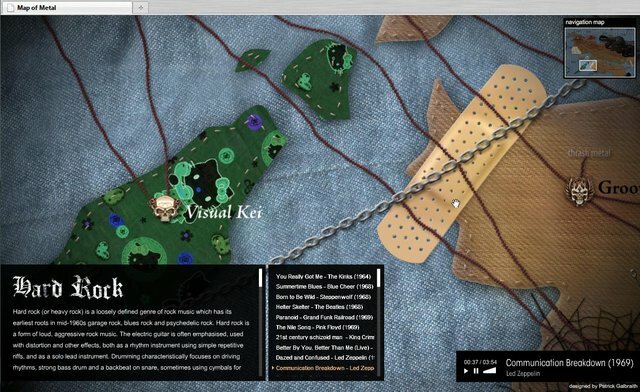 The map is also very user-friendly, but I think usability probably falls outside the realm of beauty. 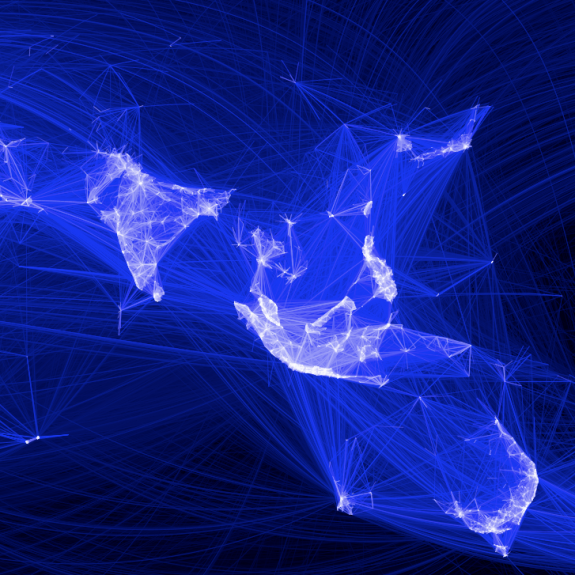 I originally posted this in another thread on visualizing network flows. Anyone interested in representing flows should check out the couple of threads on this site tagged with network. As to the reasoning why I believe these maps are beautiful, flow maps can easily become very complicated. The mess of in-flows and out-flows tend to be difficult to visualize and summarize effectively (see this other answer of mine where I go into greater detail about how visualizing flow lines is typically done). These two flow maps exemplify effectively visualizing such flow information in a concise manner. The PLoS article is a very nice example of utilizing a 3d perspective (which I have never been able to make anything in 3d that looks very nice!). Sometimes knowing what goes into the creation of some work also gives you a greater appreciation for it. 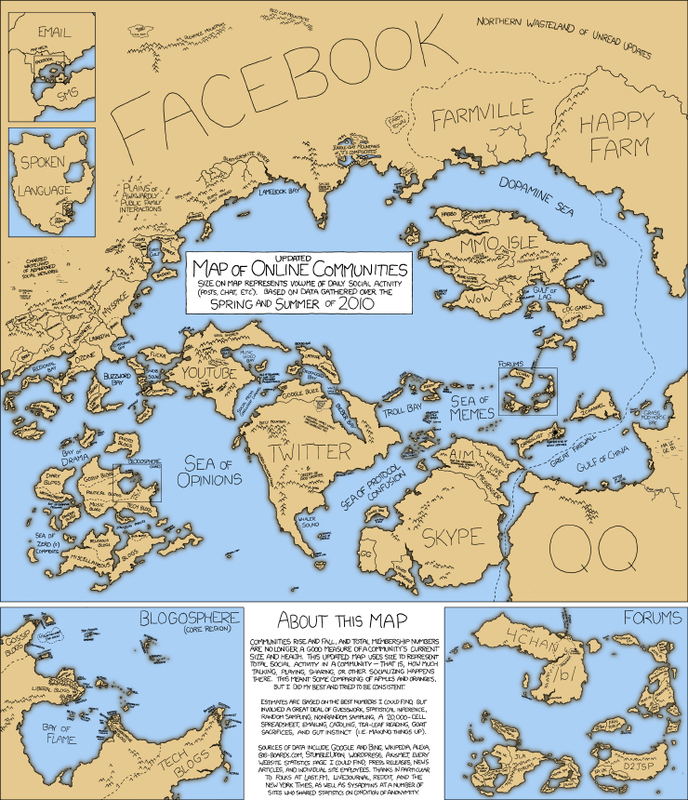 Reading the blog post about the creation of the facebook map is a wonderful exposition of the types of difficult data management skills necessary to handle, and make sense of, such a massive set of data. Although each of the maps have their critics, the PLoS article has been critisized as being trivial by Andrew Gelman, and Laurent in the comments posted a series of blog posts by Th. 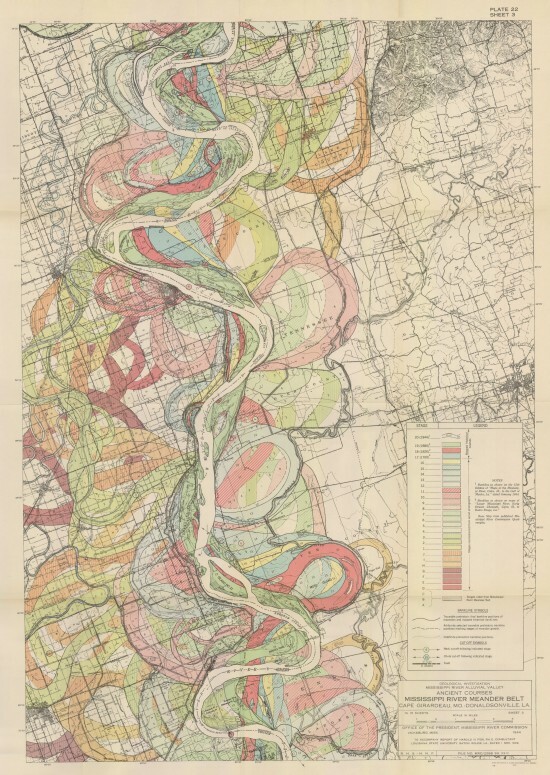 Joliveau, I believe each is still a beautiful (and very effective) map visualization of flows between two locations. This is the one that started it all for me. At age ~10 I first read R.L. 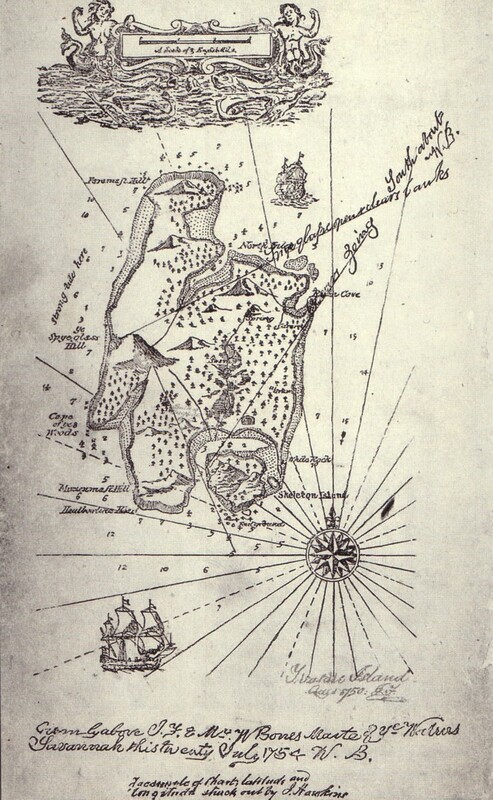 Stevenson's Treasure Island. 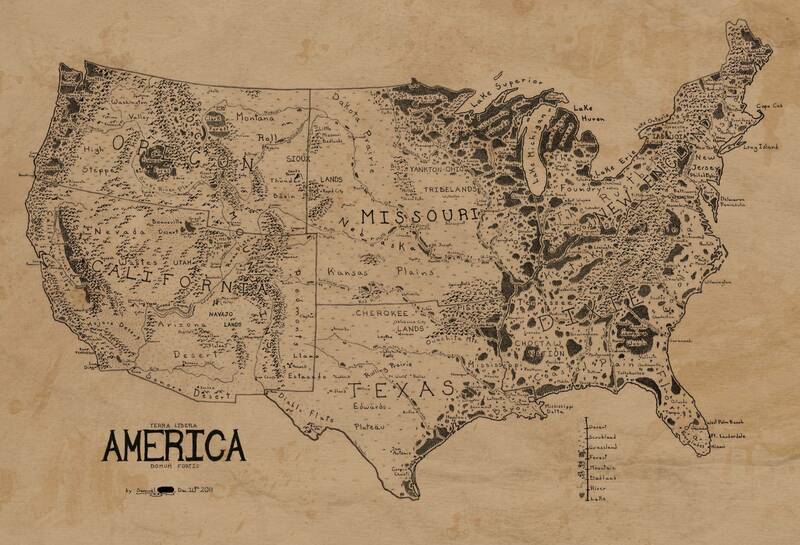 The map somehow encapsulates the mystery, adventure, search and discovery of a great story. Not only that, but Pirates! Har. 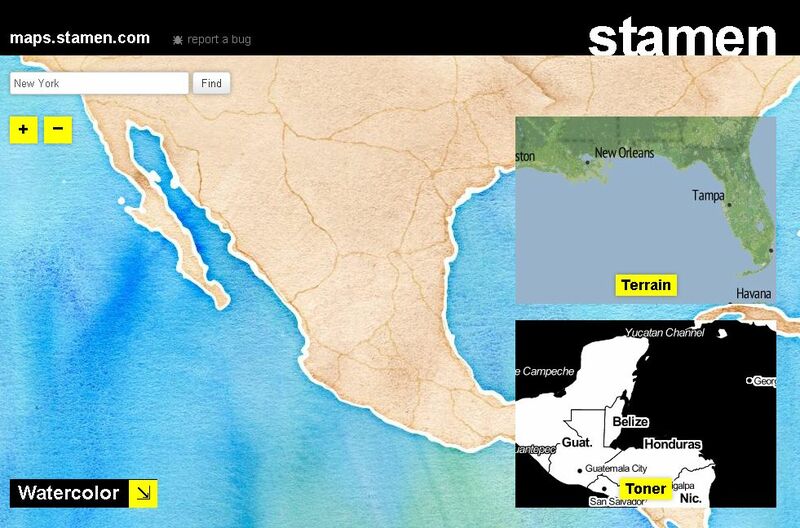 I like interactive maps from Stamen a lot. Especially, for their their focus on handling temporal interaction. 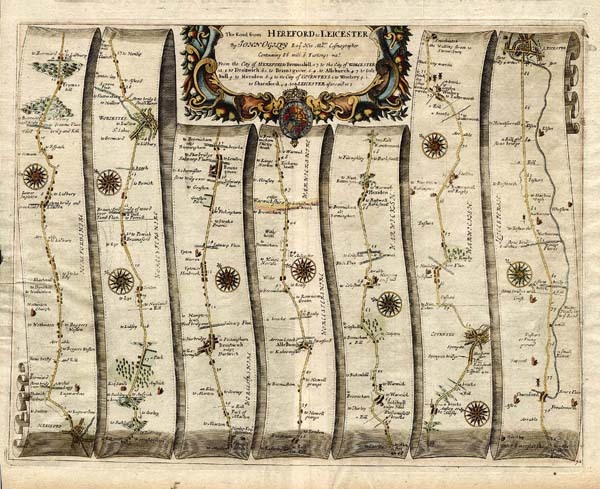 My favourite maps are John Ogilby strip maps of routes within Britain. The originals are from 1675, though there was also an official reprint around 1700 I think. I have this one (the road from Hereford to Leicester) hanging in my office. I'd love to get a full atlas, but the cost would be rather more than I can afford! Truly beautiful, not to mention ground-breaking stuff. This is a truly wonderful thread for a maplover like me! I found this (with a little help from my friends) Rock and roll. From the hip my answer would be Stephen Walter's 'The island': witty, irreverent, slightly subversive he has hand drawn a map of London representing it as an island (poking fun at Londoners' London centric view of the world). 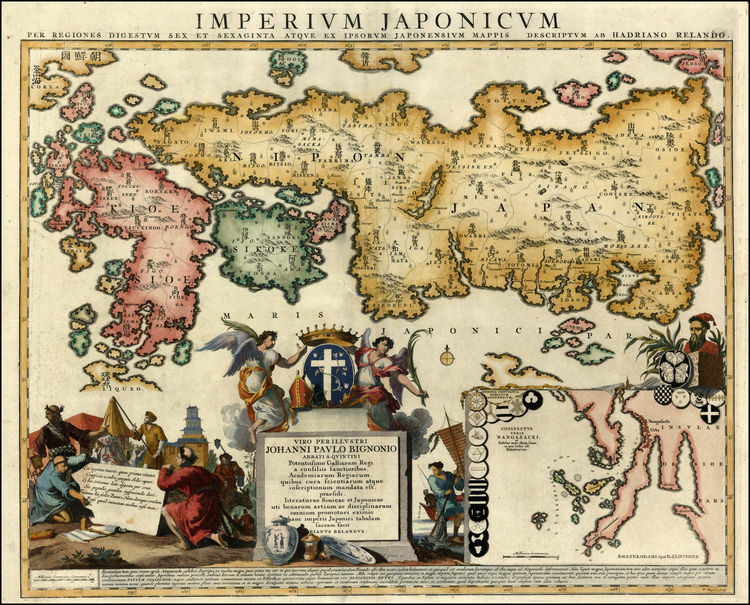 I think its beautiful as its highly original, detailed, fascinating and I interpret it as sending up the idea of maps themselves. Function: Is it fit for purpose? My vote for this type would be the London tube map: Original and highly functional it sacrifices distance representation to show the network with more clarity. 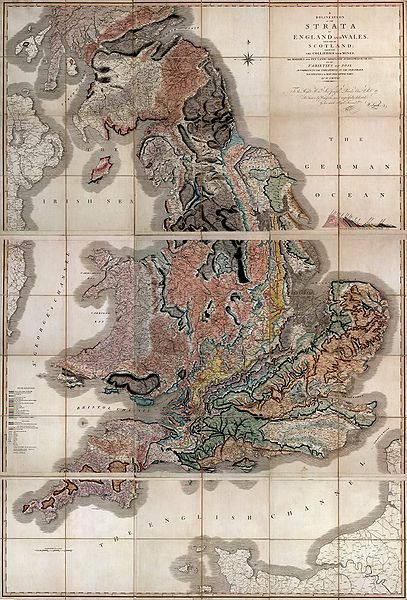 Historical Interest: A personal favourite is the Geological map of the UK by William Smith - a world first. he did this pretty much by himself over 15 (I think) years, before him no one had thought of mapping what was below the ground. I'd be most interested in hearing people's examples of maps representing outstanding functionality. Actually there are many other cities there drawn in such style. 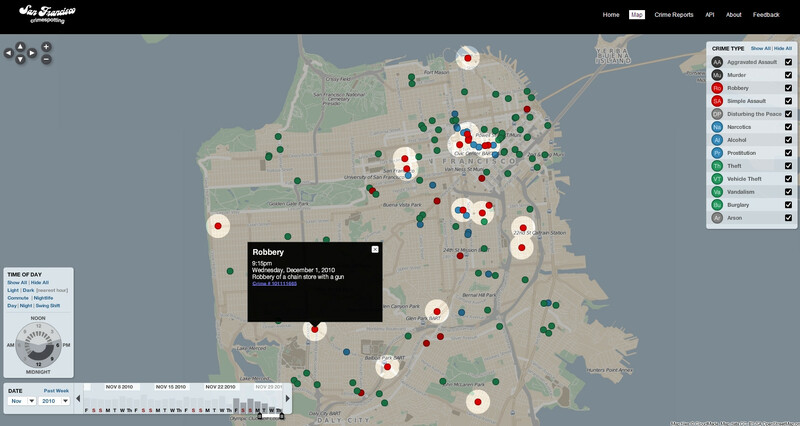 Very interesting renderer, quite good for interactive public maps I think. How about Minard's flow map of Napoleon invading Russia, made famous by Tufte? Both beautiful and informative. It achieves the latter primarily by abstracting away many of the typical elements that identify it as a carte, but still conveys a strong sense of the geography involved. 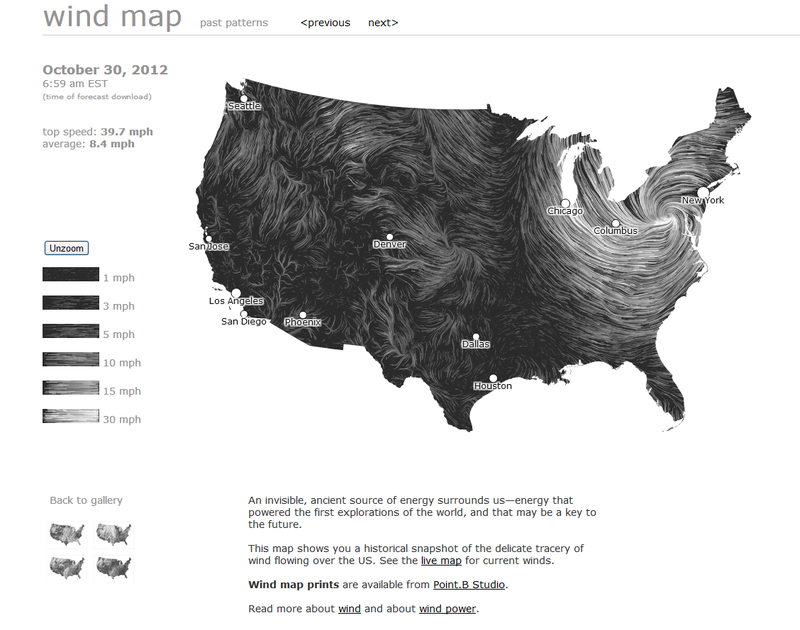 The wind map http://hint.fm/wind/. See the wind flow before your eyes. 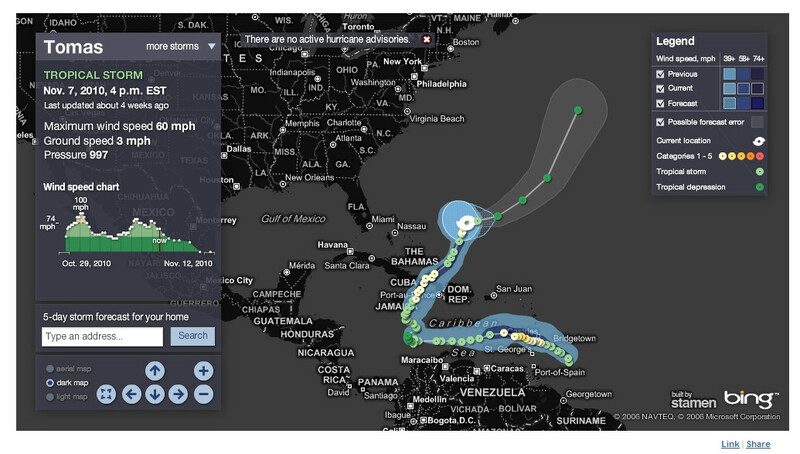 Below is a screen shot example of October 30, 2012, when Hurricane Sandy hit the east coast of the United States. Reminds me again of how tiny Europe is. National Geographic Atlas of the World, Ninth Edition not one map but a whole Atlas of Maps. 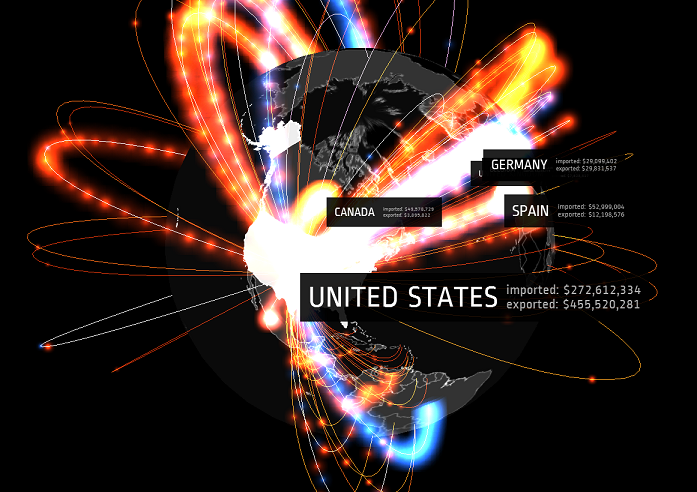 For those on the latest Chrome or Firefox version: This brilliant animated map of the world arms trade is a beautiful, yet simple representation of a major global issue! I decided to post these maps as an example of can be achieved with a software that is not know for the ability to make nice plots (including geographic maps). For me these are examples of the best or most beautiful maps created in R in recent years with a lot of work behind each one. 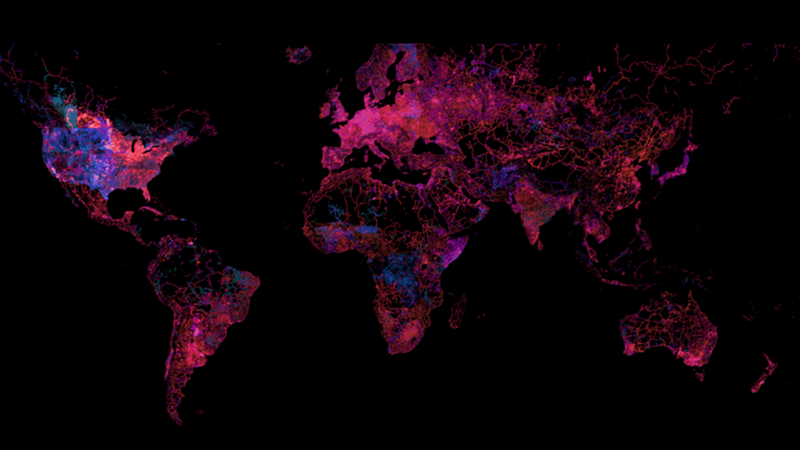 Every OpenStreetMap Edit Ever Made, Visualized. The color scale ranges from green for old, through blue then pink, to white for recent. At the worldwide level it looks pretty; zoom in and it's fascinating. 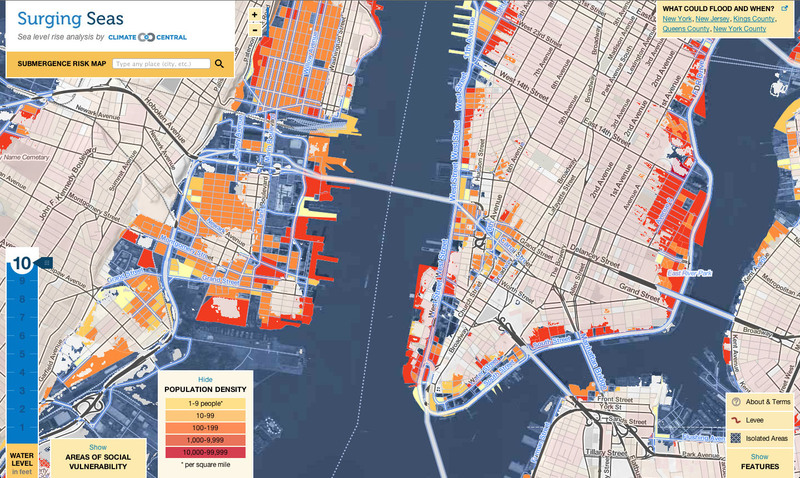 You can check out the whole map here. 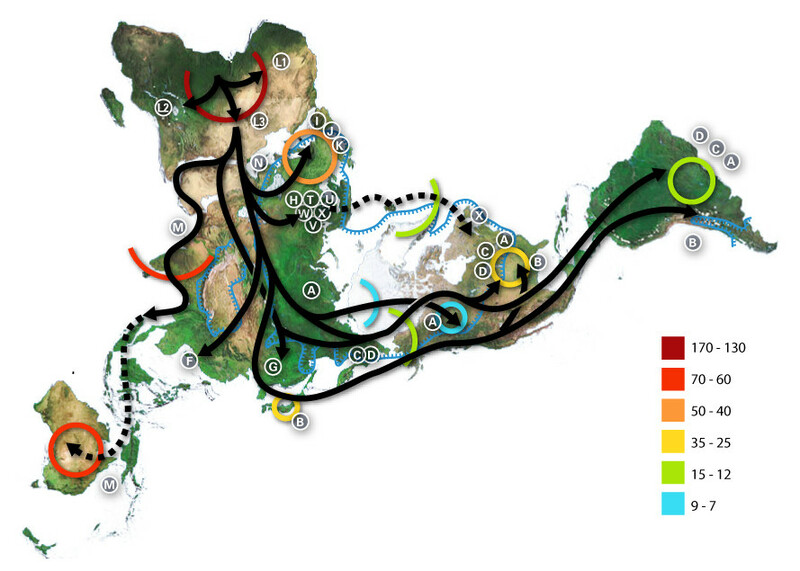 Iam a biologist and most maps i create have something to do with nature and its management. 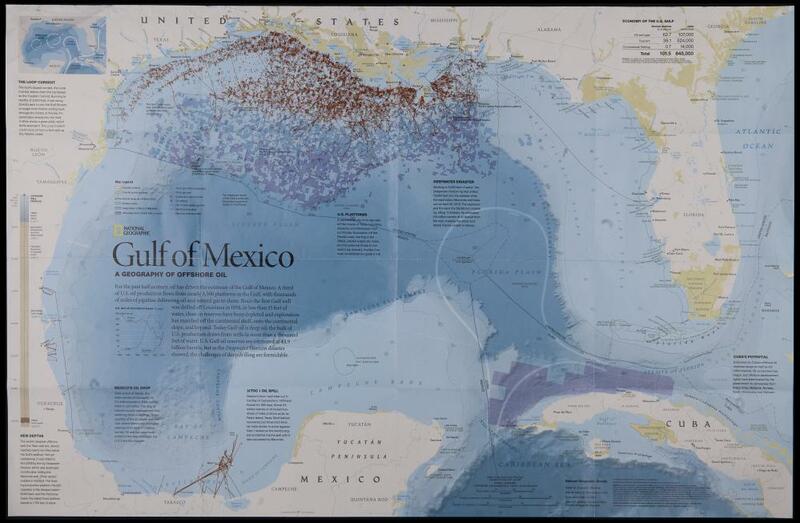 I really got inspired by the beautiful maps from the ESRI Conservation Mapping Contest. Visit the site for some very good and nice looking examples. For instance this beautiful map by Mark Endries from the US Fish & Wildlife Service, which highlights conservation priority areas in Western North Carolina. Click here to see the picture in full-resolution (Size over 4MB). 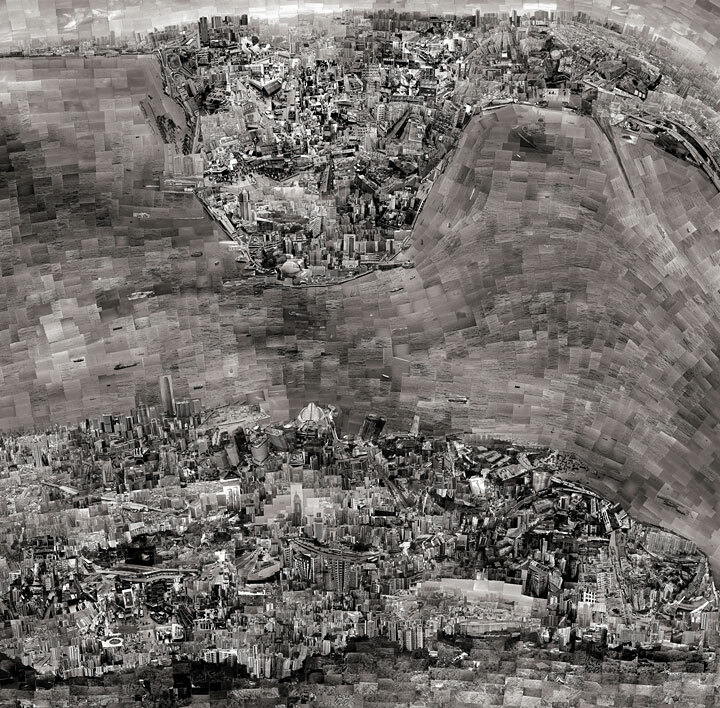 Guardian's article points to interesting work of Sohei Nishino. 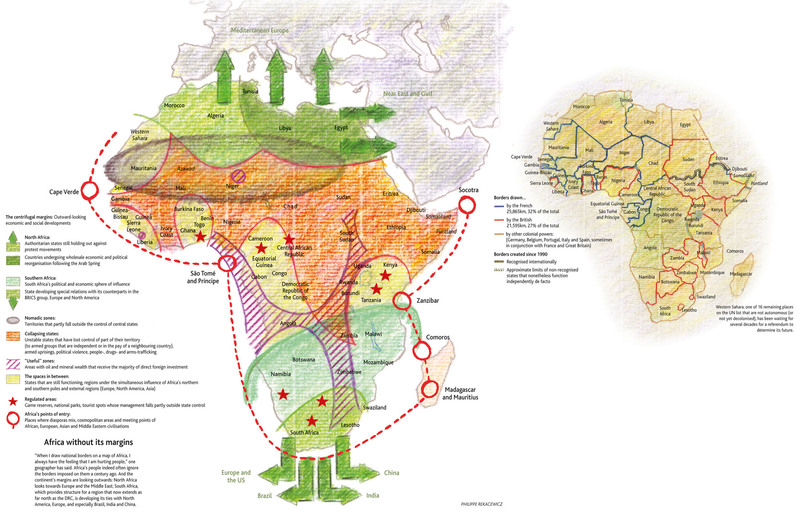 Le monde diplomatique offers some really beautiful maps. 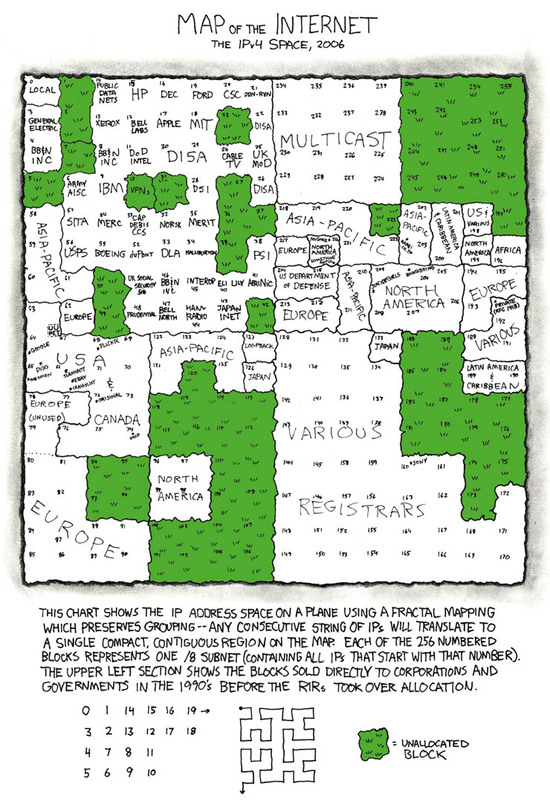 They look like hand-drawn maps, but I'm not sure whether they really are. 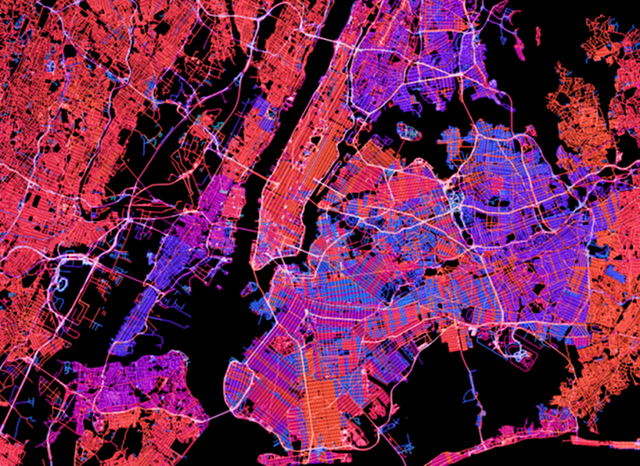 Why do I think this maps are beautiful? I prefer the handmade style - but in a modern way: they don't look like historical maps. 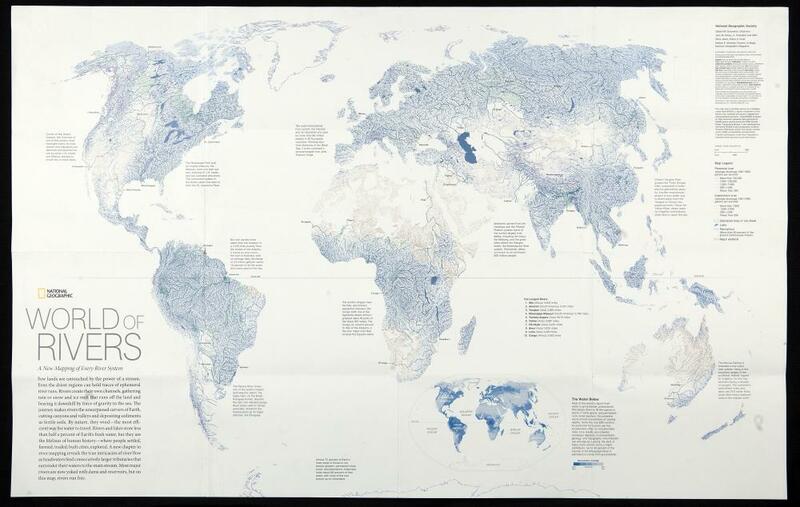 These maps visualize current global economical, social or environmental issues with high accuracy and an always interesting spatial context. Every now and then they publish the Atlas der Globalisierung (German only?) with these maps. 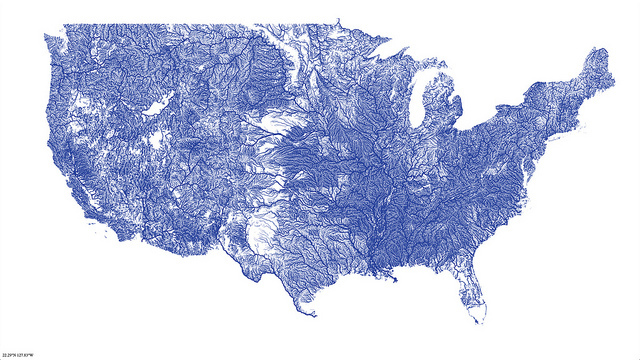 Nelson Minar has created a vector tile map of all the rivers in the United States that I think is pretty amazing. 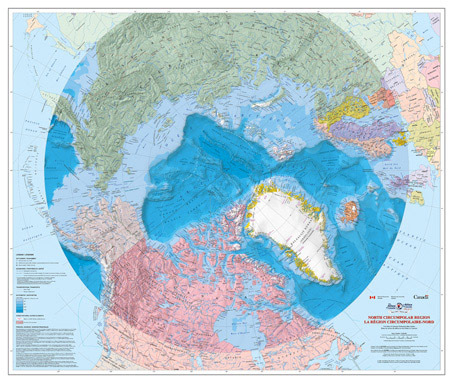 See also the map of the month of the International Cartographic Association. The map of october is a hiking map of Wallis, with "a wonderful relief representation; beautiful in its simplicity". 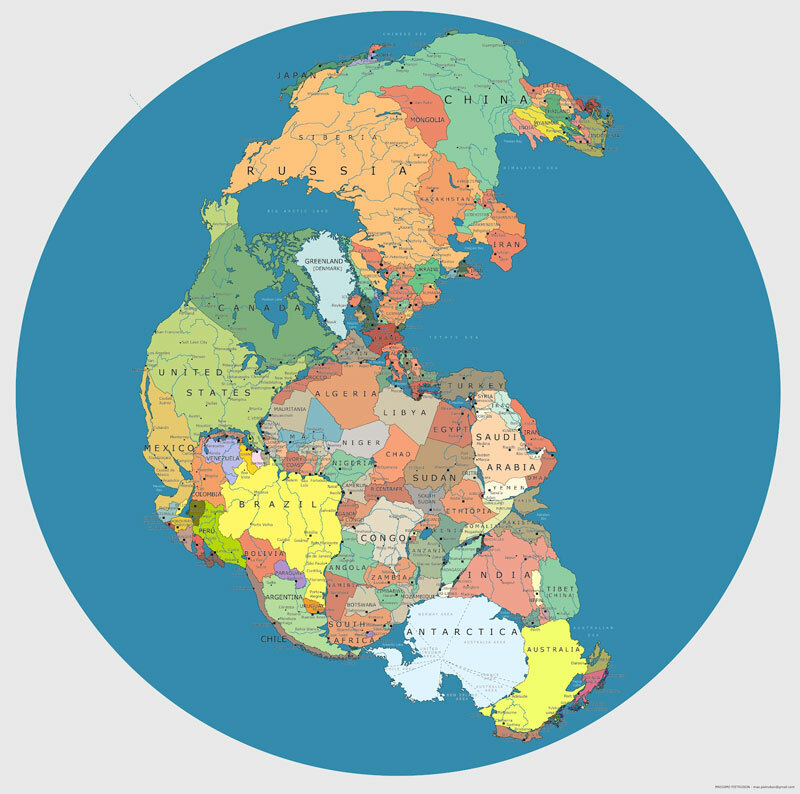 This map shows how political boundaries would be located if the supercontinent Pangea still existed. Should be shown in every geography/geology course. 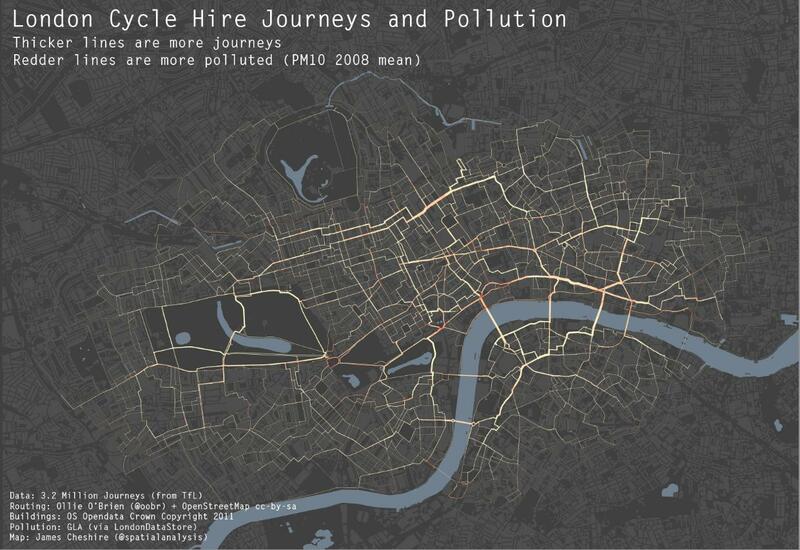 Making beautiful maps in R? Seeking examples of 3D Maps? 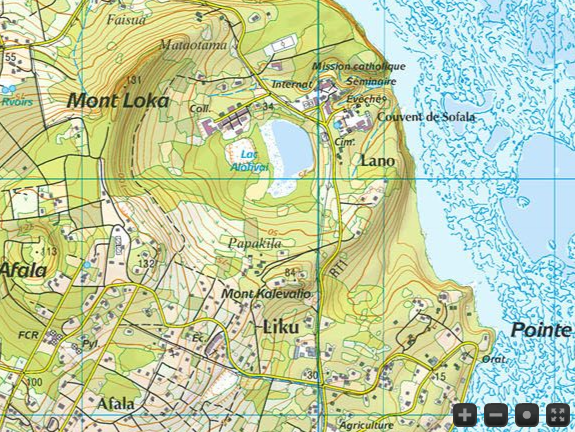 Are any fictional worlds available in some GIS format? How to implement value-by-alpha map in GIS? What are the elements that a good map should have? 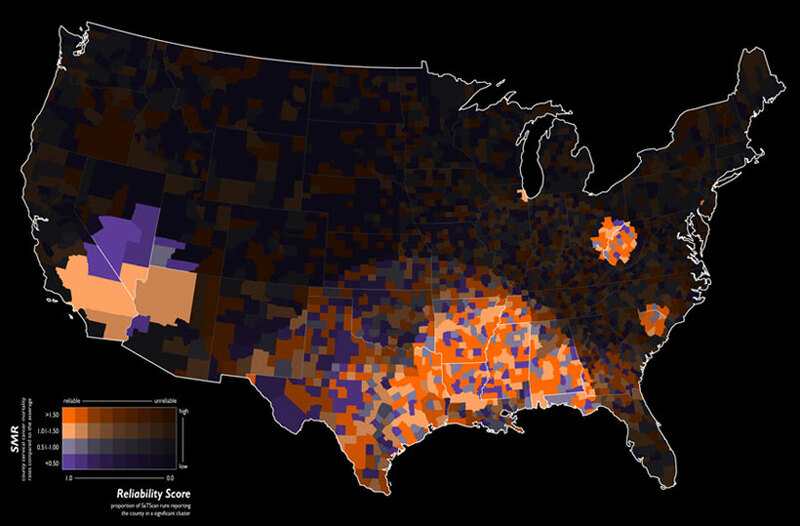 How do you choose the classifications on choropleth maps? 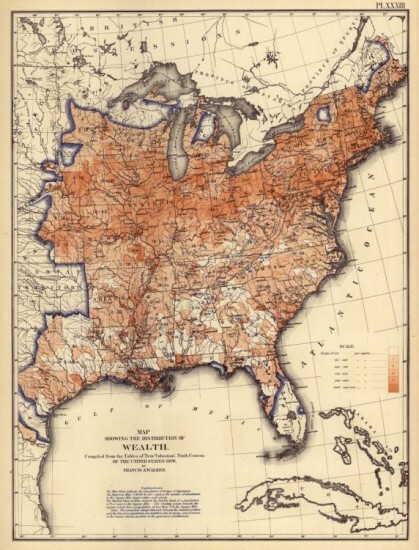 Seeking examples of Beautiful Maps at county level or closer? 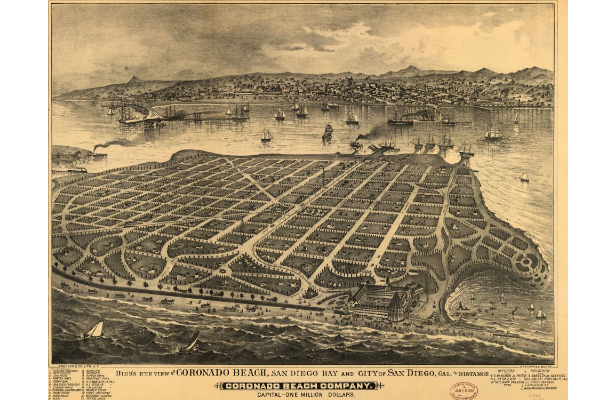 Seeking examples of Creative Cartography?